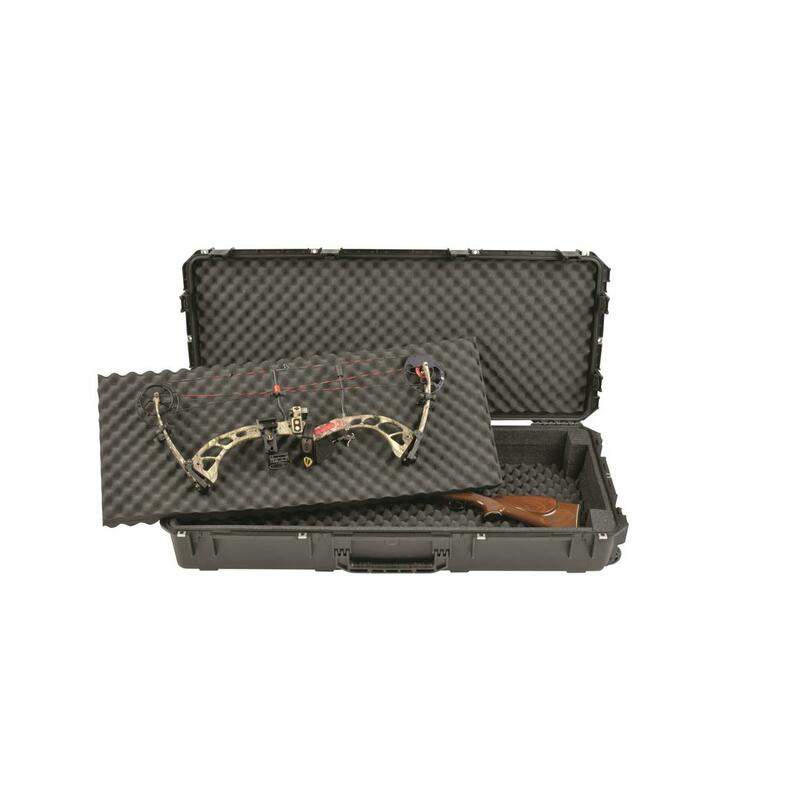 The money, time and effort you've spent acquiring and maintaining your hunting equipment is substantial. 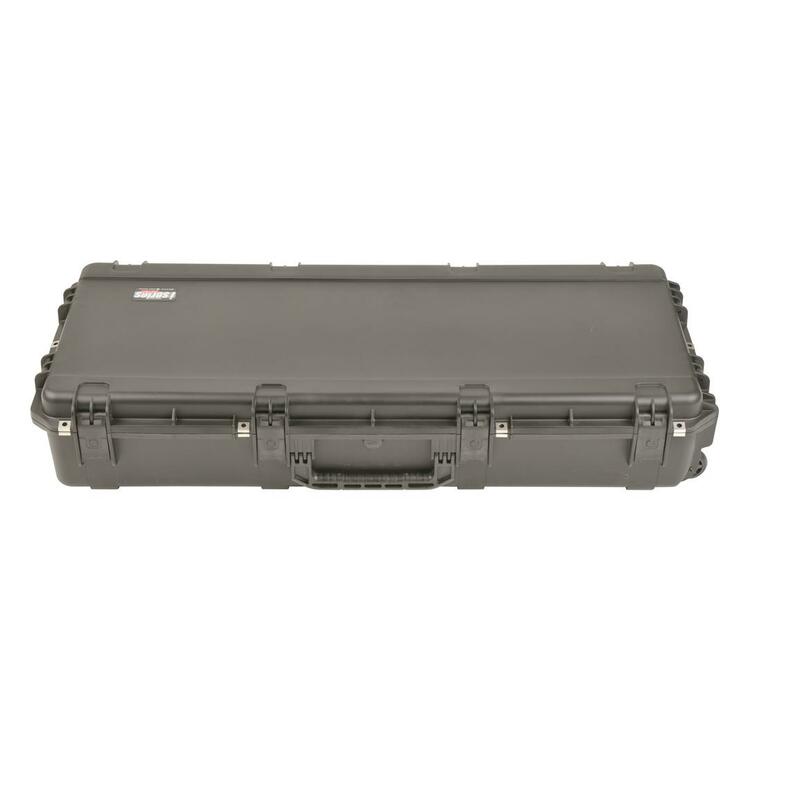 Protect your investment with this SKB iSeries 4719 Double Bow/Rifle Case. It's built to handle the rugged demands of travel. 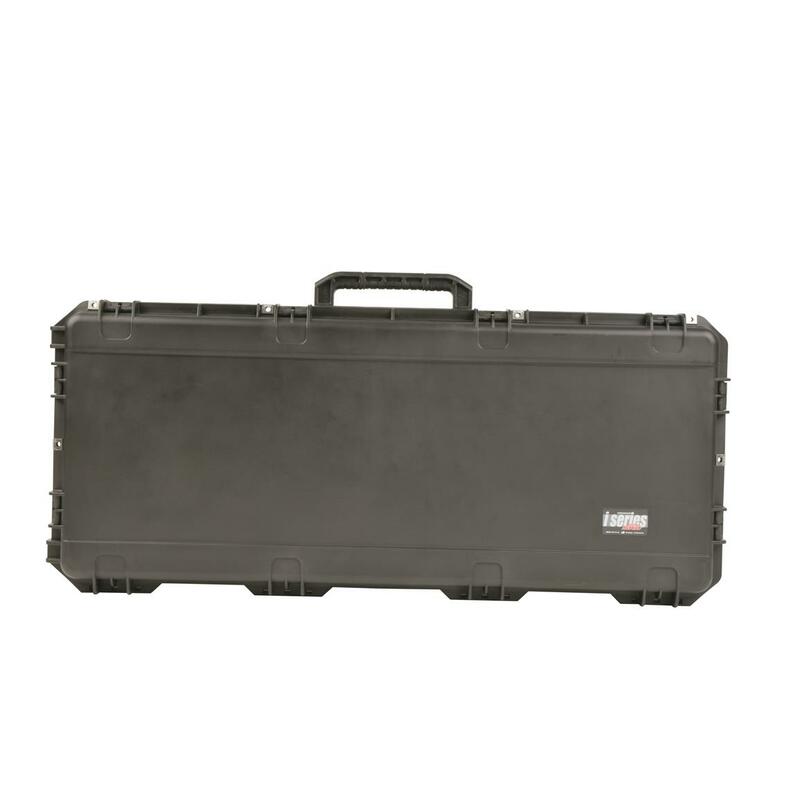 SKB iSeries Bow/Rifle Cases are impact lab tested and shown to be 2.5 times stronger than the competition, with a super-tough, injection-molded shell that's resistant to UV rays, solvents, corrosion and fungus. 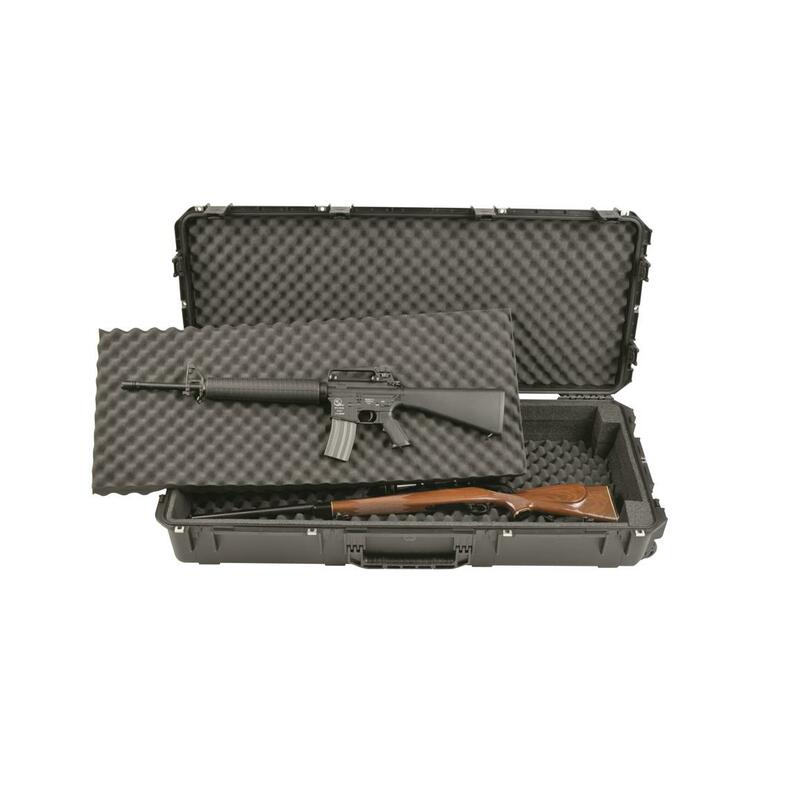 In addition, iSeries Bow/Rifle Cases are IP-67 rated for watertight/dustproof performance, with tongue and groove construction and a replaceable O-ring seal. This Case features a rigid bunk-bed foam interior that provides padded protection to a bow and rifle combination, including wider parallel limb bows, or up to four 46" rifles. When in transport, quiet, smooth-rolling in-line skate wheels and an extendable pull handle with one-finger, push-button release ensure free-wheeling, easy-gliding movement across driveways, sidewalks, airport terminals and more. Interior dimensions: 46" x 18" x 7.5"d.
Exterior dimensions: 50" x 22" x 9.5"d.